Every year Jewish families gather to light the Hanukkah candles, eat potato latkes, exchange presents and spin the dreidel as they celebrate Hanukkah, the Festival of lights. Hanukkah in English means dedication. It celebrates the re-dedication of the temple by Judah and the Maccabee's after it was recaptured from the Greeks in 164 B.C. The Hanukkah story is the story of a brave people fighting for religious freedom and the miracle of lights burning proudly for eight long days. Bantam Doubleday Dell Audio Publishing Group, A Division of Random House, Inc.
All I can say is that is that it is to short, not enough details of the battle and the people involved. 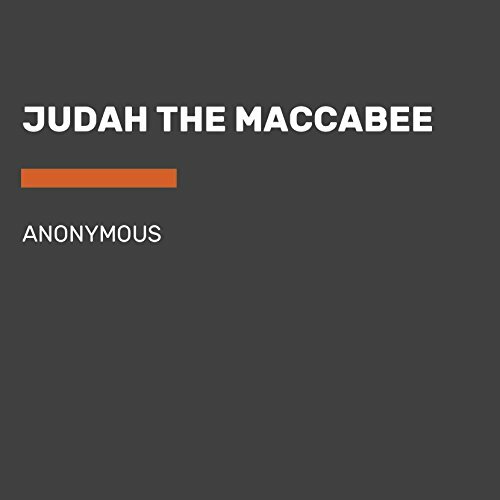 Would you recommend Judah, the Maccabee to your friends? Why or why not? Do you think Judah, the Maccabee needs a follow-up book? Why or why not? I can't say, because I really was so disappointed and distracted. I listened to it several times to try to hear it. Very poor presentation!